This is the final day of posting a review based on a middle grade kid’s recommendation. I’ll give the targeted MG audience another round of suggesting books at a later date, but right now my books to read and review pile is 12 deep. Kaylee found out library ladies are very book smart, and I’d have to agree with this choice. Hoarding is an illness, especially when its gotten to the point of no return in Annabelle’s house. Her Mom has piles of everything imaginable in every room in the house, except for Annabelle’s bedroom. She’s on a daily watch to make sure only her stuff is in there. It’s hard enough dealing with the emerging teen years, but keeping your life at home away from inquiring friends only adds to the tension. Annabelle is embarrassed by the mess, but doesn’t know how to get unburied with little help from her older brother or dad. They’re way of dealing with the onslaught of junk is through various means of escape. Heartfelt and honest, this story’s first person narration will have you begging for a resolution to the piles of junk. I learned a lot about the depths hoarding can reach. This book should provide a therapeutic outlet for those dealing with this in their families along with an understanding of this illness for all readers. Amazingly, there are splashes of humor thrown in along with a realistic view of friendships in today’s world. Thanks Kaylee for suggesting a book I might have passed over otherwise. FULL PLOT (From AMAZON) Annabelle has a five mile rule: She must keep her friends from coming within five miles of her home. That’s because Annabelle’s mom is a hoarder. Their house is full of stuff: canned goods, broken toys, old newspapers… It’s everywhere except for Annabelle’s spotless room. Annabelle can’t let anyone find out what her house is like. They’ll realize that her mom is crazy. They’ll make fun of her. Or feel sorry for her. Or try to help. The importance of family is expertly laid out. Yes, family life can be a mess, but here with three generations exposed, you’ll learn that even the most horrific problem can be cleaned up with cooperation and self discovery. This could have been another depressing MG entry. Instead, it is filled with love and hope. Annabelle’s voice is spot on for this age group. She’s in turmoil and you’re along for every part of her uncomfortable ride. The cover didn’t bother me as much as it did for Kaylee. The title though is a little misleading making you think this is a fun romp with a dysfunctional family. Annabelle’s friendship with Drew, a boy who lives nearby, is an accurate look at first crushes. Fun, exciting, and painful all rolled up into several scenes. Even Dad thinks that one is weird. 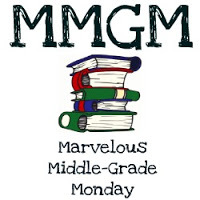 This entry was posted in Reviews and tagged Family Game Night and Other Catastrophies, female protagonists, Hoarding, Marvelous Middle Grade Monday, Mary E Lambert, MG book reviews, Middle grade. Bookmark the permalink. “This could have been another depressing MG entry. Instead, it is filled with love and hope.” YES! This is what we would like to see. Books can have sad elements without being soggy. I loved that this one centered around the middle grade character and how everything impacted HER life. This sounds like a real need filler, since hoarding is now a kind of spotlighted problem and there are lots of hoarders out there, some with kids. I think this will have to go on my must read now list. Glad this wasn’t depressing. I remember reading a YA book about hoarding once. Can’t remember the title. I also remember as an attorney going to a few people’s houses for various reasons and seeing their hoarding. It’s unbelievable to see. I also found the title misleading when I first heard of this book (and didn’t add it to my TBR list). Seems I missed a good read. Kudos to Kaylee and the “library lady” for recommending it. This is why libraries are so important and I hope they never disappear. Hoarding is an interesting psychological problem. I often wonder if it is present in all cultures. In any case, sounds like a good book. Wow! I love this title (not the cover). Dealing with a hoarder has got to be a difficult and embarrassing for a teen — and isolating. Look forward to reading the Annabelle’s story. An interesting topic for a middle grade story. Thanks for turning us on to it! This sounds really intriguing. I don’t think I’ve ever seen a MG about a parent who hoards. I liked what you said about it being filled with love and hope. And yay for a character-driven MG that’s not about a parent dying. Thanks for featuring this! I’ve never heard of this one – it has a very unique plot. Thanks for your recommendation. Glad to hear you enjoyed it! This one is going right onto my TBR list. You make it sound really good. Interesting topic that probably more kids have to deal with than we ever imagine. Thanks for the post.